Old Willows country estate is a historic country estate which is a favourite for travellers seeking beautiful romantic accommodation. 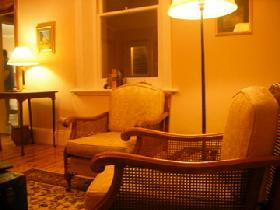 The estate features four bedrooms, old world appointed rooms. Located in the historic township of Quorn home of the Pichi Richi Railway, mountains, walking trails native wildlife and flowers. 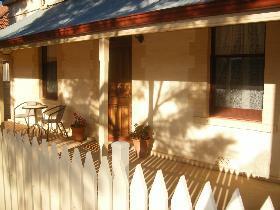 It is walking distance to the town centre and a pleasant drive to Wilpena Pound, Parichilna and other outback towns. Holiday in a township with all the facilities. McKinley's Rest self contained accommodation provides the visitor to Quorn with comfortable, spacious, heritage accommodation right in the heart of the historic township. Quiet and peaceful, yet only a 200 metre walk to the Pichi Richi railway station and even less to historic pubs, galleries and cafes. Endilloe Lodge is a peaceful, self contained spacious country retreat, with great character, located on the outskirts of Quorn, a town rich in history, heritage buildings and home of the Pichi Richi Railway. Situated on ten acres, offering privacy, charm and spectacular views of Devils Peak. Walk through the native gardens and the orchard containing olives, grapevines, fruit trees, pistachio nuts and fig trees. A perfect base from which to explore the many attractions and walking trails of the Flinders Ranges and an ideal location to see wild flowers and native fauna of the region. 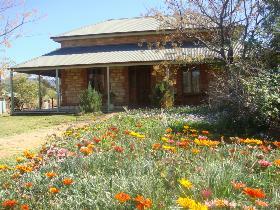 Devil's Peak Bed & Breakfast is nestled in the Flinders Ranges at the base of Devil's Peak on an 800 acre private property in a peaceful and natural environment. It accommodates up to eight people in a four bedroom self-contained house. All linen is provided and provisions for full breakfast can be provided. Enjoy the serenity and spectacular scenery as you relax on the verandah or go for a walk to observe wildlife in this sanctuary for native fauna and flora. 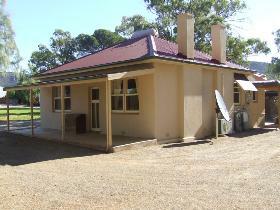 The bed and breakfast is easily accessible, 12 kilometres from Quorn and 25 kilometres from Port Augusta. Bush camping is available and guests enjoy exclusive access to walking trail on property including to Devil's Peak. The property is close to Heysen and Mawson Trails and guests can watch the Pichi Richi steam train go past. 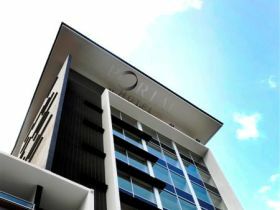 The Austral Inn Hotel is dedicated to old-fashioned country hospitality. Comfortable motel and budget accommodation and quality country gourmet food and wines await you at the end of your day. Relax in the bar and plan your next day's adventure whether it be touring by car, walking the Heysen Trail or travelling on the Pichi Richi Railroad. 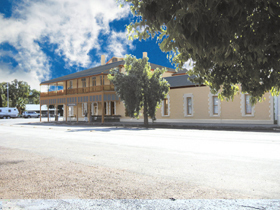 Quorn is one of the major towns of the Flinders Ranges. Nestled at the foot of the Arden and Dutchman's Stern Ranges, Quorn is in a valley sheltered by its location and enjoys a very pleasant climate - especially for lovers of winter sun. Being within a few hours drive of all but the northern most attractions of the Flinders Ranges Quorn is an ideal base for a Flinders Ranges adventure. Argadells is an historic working sheep property set amongst 8,500 acres of spectacular scenery, just 28 kilometres north of Quorn on the Arden Vale Road. Nestled between Warren Gorge and Buckaringa Gorge, Argadells offers the perfect location for a getaway in some of the best scenery anywhere in the Flinders Ranges.